Few countries have as complex a musical heritage as Malaysia. The indigenous people (sometimes described as orang asli) comprise at least 30 linguistic and cultural groups each with their own distinct music. For centuries immigrants from South Asia and China have settled there and brought their own music. And as both South Asia and China themselves comprise innumerable cultural groups, each with their own language and music, the culture they have injected into the fabric of modern Malaysia is every bit as varied as what was originally there. The majority population – the Malays – also have their own language, culture and music, much of which is drawn from their ethnic roots in Java and other parts of what is now largely called Indonesia. To add complication to this already over-flowing cultural melting pot, the so-called bumiputra (literally “sons of the earth”), are not in the main the orang asli but the Malays, and centuries ago they inherited from Arab traders the Islamic religion which, in the particular interpretation of Islam which is followed by a majority in Malaysia, specifically forbids music and singing. It does not end there. European presence, dating back at least 600 years, has embedded into Malaysian society an awareness of western classical music. For most of the past 100 years or so, that presence was limited to piano lessons, graded exams, occasional visiting musicians, and one or two – generally abysmal – orchestras and choirs centred on Chinese-majority towns such as Penang and Kuching. That all changed in 1998 when the then Prime Minister and the President of the National Oil Company (Petronas) decided the time had come for Malaysia to have its own professional western-style symphony orchestra and concert hall. The problem was, there was nobody in Malaysia experienced enough to play in it, so its initial membership was almost wholly foreign. That was all right until the oil price crashed a decade later and, with petrol prices soaring at the pumps, the general population started to question why Petronas was spending money on foreigners indulging in an activity to which their religion forbade them access. A weak and half-hearted management acceded to popular calls for change, and what was once the greatest orchestra in Asia was reduced to a simpering shadow of its former self still capable, I gather, of putting on splendid performances, but living and working in an atmosphere of unease and uncertainty. This over-simplified history may be interesting, but the main reason for rehearsing it here is to put into context something which is already pretty remarkable; given the complex musical heritage of Malaysia and the very chequered history of western music in particular, it is nothing short of miraculous. 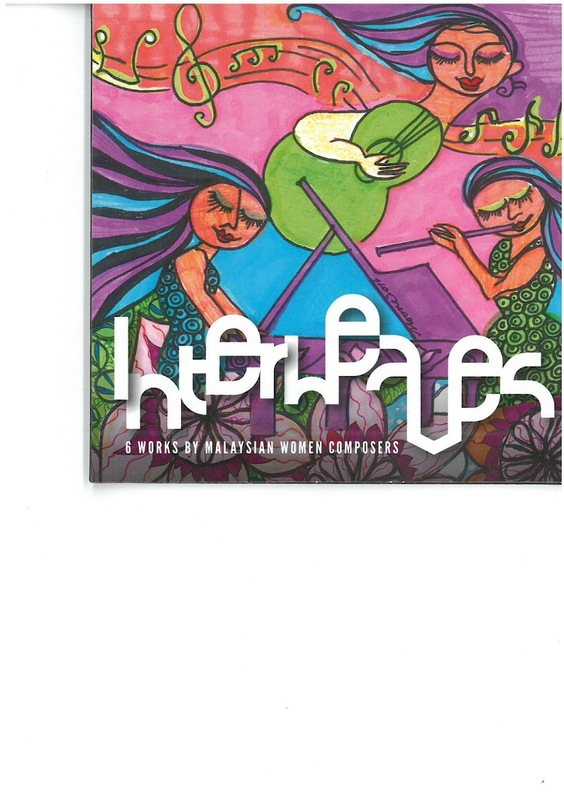 A CD of new music by four Malaysian Women Composers. Five Little Pieces for Piano by Jessica Cho may have been inspired by György Kurtág, but the harmonic language owes an inescapable debt to Messiaen. These are tiny but perfectly formed, and I have a particular penchant for the invigorating third. The performance here is powerfully committed, but it draws attention to one of the weaknesses of this CD - some of the recordings do not stand up to close scrutiny. Here, for example, the piano is so woefully out of tune that I found myself wondering whether it might not have been a half-hearted attempt at a prepared piano. The other Cho work on the disc is, at 11’48, the longest on the disc. Hypnagogic II for chamber orchestra might have one of those obscure titles which so many contemporary composers feel gives their music “cutting edge” credibility, but Cho’s piece is far more interesting than its title. Again the Messiaen influence is obvious, not least in the evocative clarinet solo around 3’30 (a composer recently suggested to me that it was impossible to write a clarinet solo today without referring to Messiaen’s Quartet for the End of Time), but the strong, over-arching structure of the work and the intricate detail woven into its fabric has a character all of its own. We can detect Malaysian elements, but the language and appeal is truly global. The performance of this work highlights the really significant weakness with this CD. We are never told who the performers are. I see from the website www.malaysiancomposers.com (there are no notes with the CD itself) that this was originally written for the Malaysian Philharmonic Youth Orchestra. They were an excellent group under their founding conductor, Kevin Field, but this is clearly a piece which would have challenged the most accomplished of orchestras. I would love to know if this is indeed the Malaysian Philharmonic Youth Orchestra playing, and if so, when it was recorded; this is clearly a very distinguished performance of very distinguished music. Adeline Wong is the most established of these four composers. She is also represented on this disc by two works. Chermin is a score she wrote for a Malaysian horror film in 2007, and a short trio of excerpts are included here. Its film roots are immediately apparent from the haunting vocal opening, with superimposed electronic effects, and the even more evocative rebab – a traditional Malay instrument – all mixed up to paint aural pictures rather than have a clear musical thread. But in the very easy way Wong juxtaposes these very diffuse elements of Malaysia’s musical heritage, she shows the hand of a highly accomplished composer. This is vividly portrayed in her astounding piece for string quartet which, rightly, lends its title to the disc, Interweaves. Superbly and idiomatically written for the quartet, this is nevertheless a very original and exciting work which, while Wong suggests it was inspired by the Islamic call to prayer, transcends any sense of ersatz-Malaysian/Islamic-ism to offer an inventive and rewarding musical experience which repays repeated listening. Again the failure of the CD to identify the players is a serious flaw; for this is no amateur string quartet, but obviously a very highly accomplished group of players whose technical ability and obvious commitment to Wong’s score elevates them above the norm and into the realms of outstanding musicians. Who are they? During my time teaching at Middlesex University I encountered Isabella Pek. She had been working as a commercial arranger and composer for the Malaysian broadcaster, RTM, and was at Middlesex to try and move on from simply writing jingles and theme music to expressing herself fully through composition. I spent many happy and fruitful hours discussing music with her, and felt that here was a composer with genuine integrity and a burning desire to absorb every cultural influence in order to expand her own personal vocabulary. Where Jambatan Tamparuli fits into her output chronologically, I do not know. At times it has some of the naivety of the commercial music she was writing before her Middlesex studies, but at others it has the stamp of advanced musical thought which can only have come from the influences she picked up, especially under the guidance of Middlesex’s own iconic composition teacher, Peter Fribbens. Pek achieves something special here. It is immediately accessible music, full of attractive sound-effects (there’s some rather blatant bird song effects superimposed onto temple gongs and ethnic flutes at the start) but as it progresses, moving through the syrupy chords of a Ramlee-style movie score and a jazz-infused wind solo, it becomes ever more musically interesting. It has an easy-going, laid-back feel (some may equate that with the kampong life of the bumiputra) and shows its Malaysian influences clearly, but successfully integrates them into a most coherent and attractive whole. I wonder who the performers were and when the piece was written. This CD does leave a lot of questions unanswered. Jyotsna Prakash wears her Indian heritage so openly that, at times, her Sukhi sounds more like a piece intended to accompany a traditional religious ritual than an entirely original composition. Possibly, because it is so potently reflective of a specific ethnic culture, from the outside it seems to lack the clarity of structure and logic of musical argument which makes the other works on this disc so absorbing. It was inspired by a dance, and to a certain extent it is music which needs that visual element to succeed; it is a little like seeing just half of a picture and being left with no clear idea what the other half looks like. What I hear I find attractive, but also rather elusive, luxuriating a little too languidly in the sound of the instruments and not apparently heading anywhere special. So here we have a CD of six very distinct works, each confidently written by composers whose self-assurance and musical maturity is clear. It would be wonderful if this CD could somehow reach the ears of those in the business of producing CDs for the international market, for these four composers could stand proud alongside the very best in contemporary music; their musical language transcends the complexities of their musical heritage. They do not need to exploit their gender or their nationality; these composers are clearly very comfortable in their own musical skins.